Running a successful business as an artist takes more than creativity, talent and artistic skill. It also means learning about marketing, business skills and taking time for self-care. 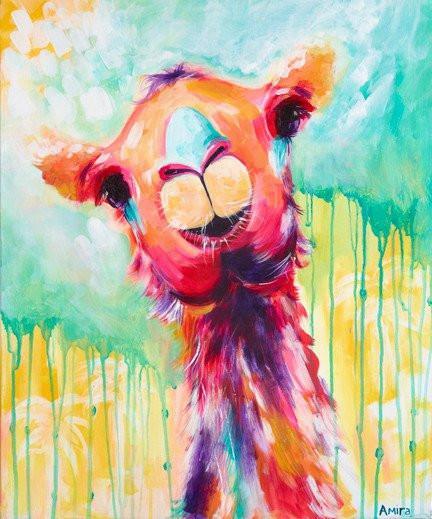 Amira Rahim is an artist who not only creates and sells her work but has developed her business and now teaches other artists how to thrive too. 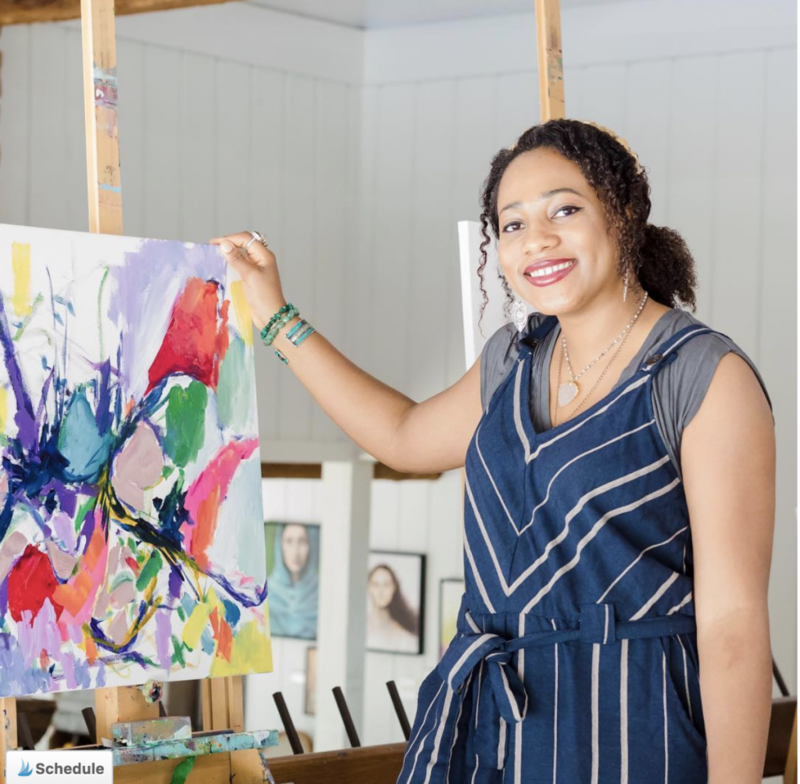 Amira began painting as a hobby while studying for a law degree as she felt that she needed a release from the pressure of academic life. As she began to dedicate more and more time to painting, she modeled her work after some of her favorite painters, including Van Gogh and Picasso. 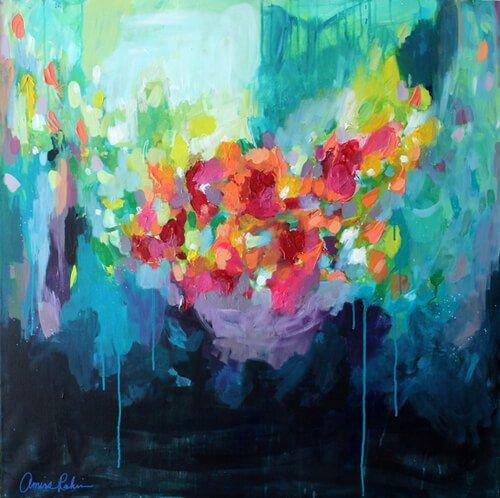 After being given some advice about abstract art, she decided to try painting her emotions, She took a pre-existing piece of work – an old beach scene – and added crazy colors to it. After Amira shared the piece online, she received four offers and that really kick-started her career as an artist. Her use of color is very personal. She uses it as a way to raise her energy. Surprisingly, in her day to day life, she mostly wears black and her home is decorated in neutral black and white tones. This is in stark contrast to the vivid and varied colors she uses in her artwork and her mission – “to make the world a more colorful place”. 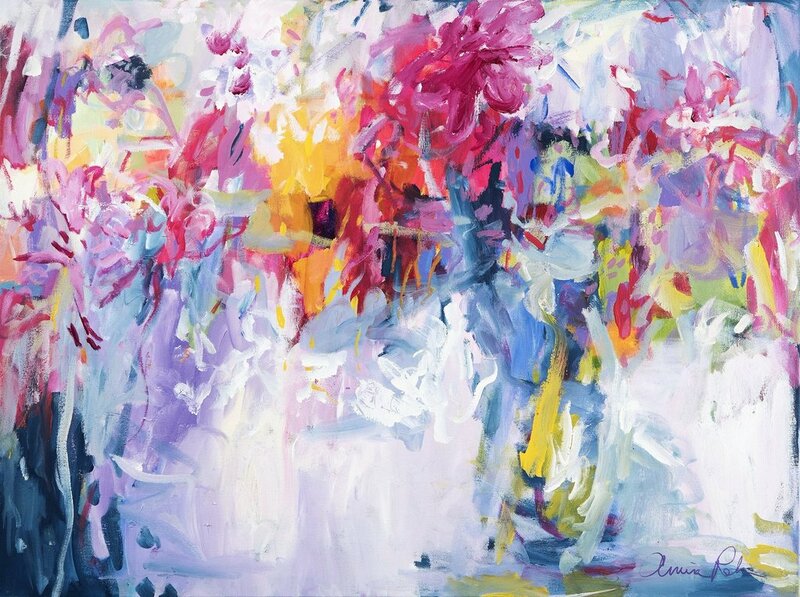 As a successful contemporary abstract expressionist painter, Amira has been featured in publications such as The Huffington Post and Time Out Abu Dhabi. Her work is also popular with the Royal Family of Abu Dhabi and she has been featured in exhibitions around the world. However, after identifying a need in the industry, Amira setup Passion Color Joy, an online community where she supports both new and experienced artists in developing their online businesses. In particular, she focuses on social media marketing. With over 63,000 followers on Instagram alone, she clearly knows what she’s talking about! In addition, she offers workshops and provides creative consultations where she walks artists through the process of establishing themselves as professionals. Those who want to develop their artistic skills can join Amira either online or in person for abstract painting lessons. “when you’re burnt out and overwhelmed, you essentially go into zombie mode. You’re unable to think of creative solutions to problems that arise or engage in activities you love because you are physically and mentally exhausted”. This led to the development of her Free the Spirit retreat in Portugal for artists with a focus on painting and resetting and freeing your spirit. It’s clear that Amira takes a holistic approach to her business which combines creativity, marketing, and spirituality. It’s an approach that we could all learn from! You can find Amira on Instagram here on head over to her website here.